Thank you to those of you who came along to our Christingle Service at St. John's Church today. It is always a lovely event and begins our Christmas festivities here at Corby Glen. We are proud of our non-denominational status at Corby Glen Community Primary School but also recognise that we live within a broadly Christian community so enjoy celebrating key Christian celebrations with the community we live and work in. 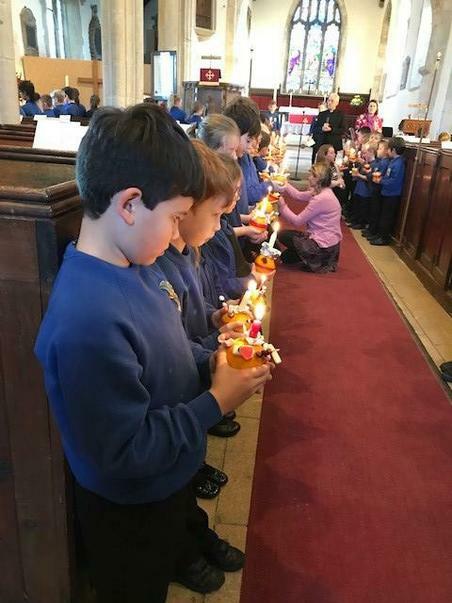 Although we don't take part in Christian worship, we think it is important that our children visit our local church and understand why Christians celebrate these key times of year. We always relate these times back to core values - today Rev Buckman talked about child poverty - and we began thinking about our own lives and the lives of others.